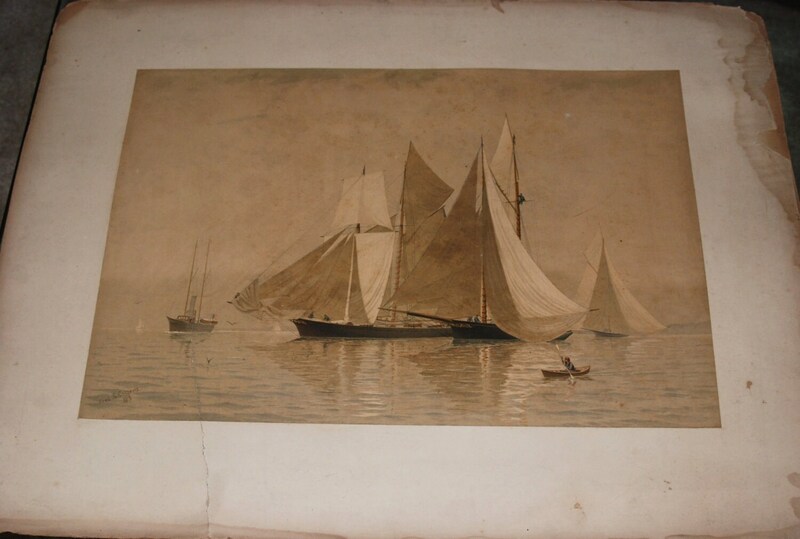 This is a rare chromolithograph by Frederic Cozzens depicting several yachts, a steamship, and a kayaker in the foreground., 1883, Charles Scribners, and an Armstrong Production, New York. "A Misty Morning -- Drifting." 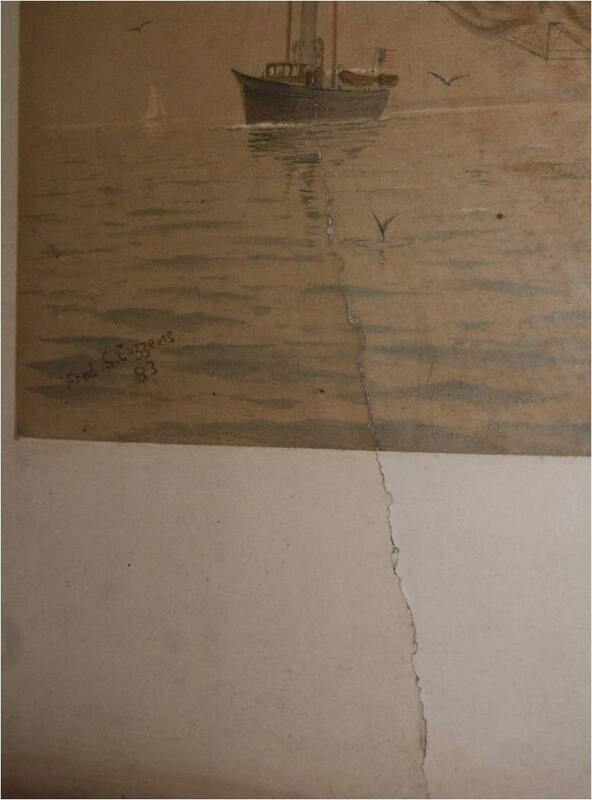 It was painted in 1883. It shows the steamers, Utowana, Nokomis (Nettie), Crusader and Hildegard. "In Cozzens' tranquil picture, a squadron of exellent boats like Crusader, Nokomis and Hildegard may be rendered helpless despite the best model and seamanship while a sturdy little steamer like the Utowana will rush past them as if possessed of a royal road to pleasure. Nokomis (late Nettie) was a keel schooner built in Northport in 1861 by Hart and altered in 1880. The Hildegard was a large, seventy foot centerboard sloop yacht that had raced with Mischief and Gracie and Pocahontas in triel races. She had been built in Islip, Long Island by Smith for H. Oelrichs. 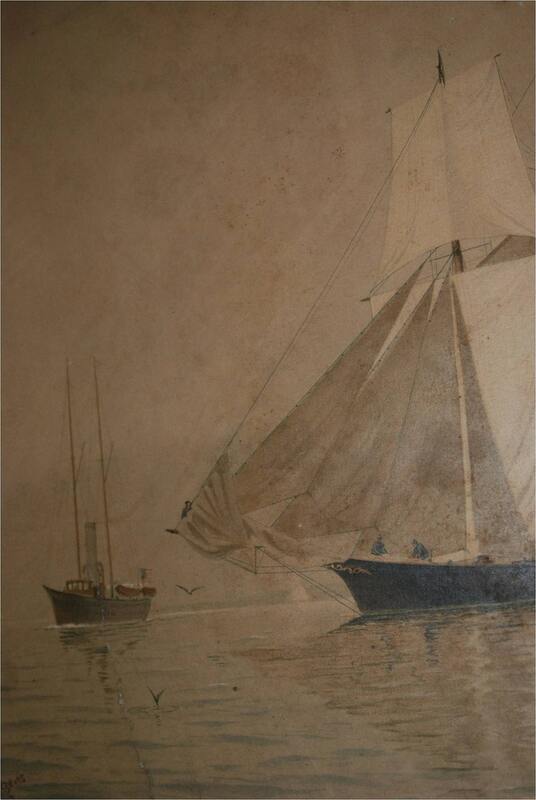 Crusader was a centerboard schooner, build in 1880 by Mumm of Brooklyn. She was ninety-seven feet overall. 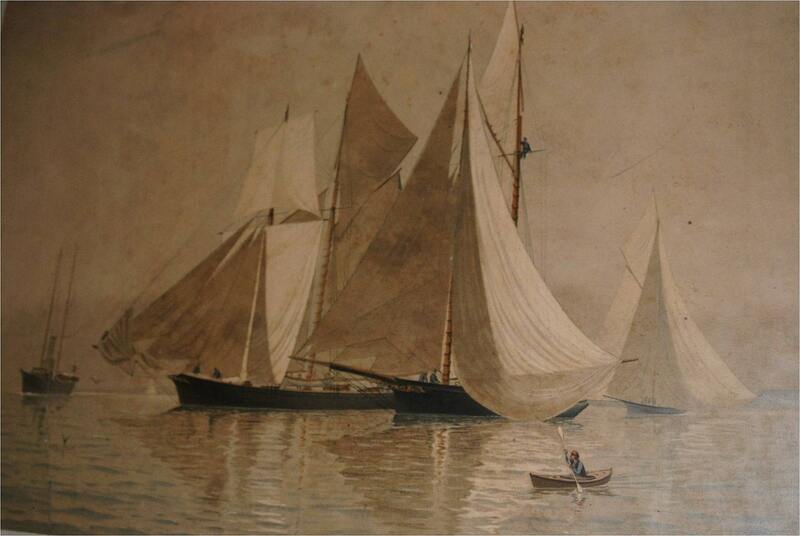 This scene is an excelent example of Cozzens' ability to set a mood with his calm water and limp, hanging sails." 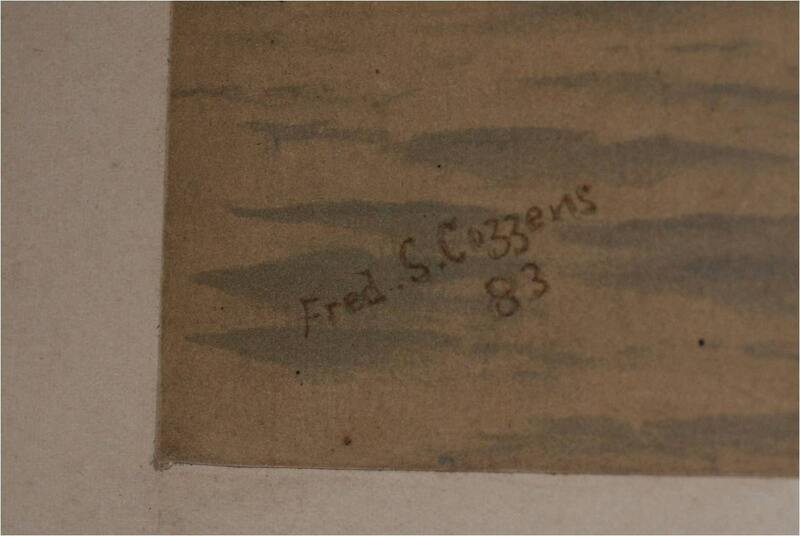 Quoted from Frederic Cozzens, Marine Painter, Anita Jacobsen, Alpine Fine Arts Collection, Ltd., New York and London, 1982.